6:00pm – Holy Unction/Sfantul Maslu. The service is going to be at Russian Church. The address is: 905 8 Avenue NE. 5:30pm – Vespers/Vecernia and Holy Confession/Sfanta Spovedanie. 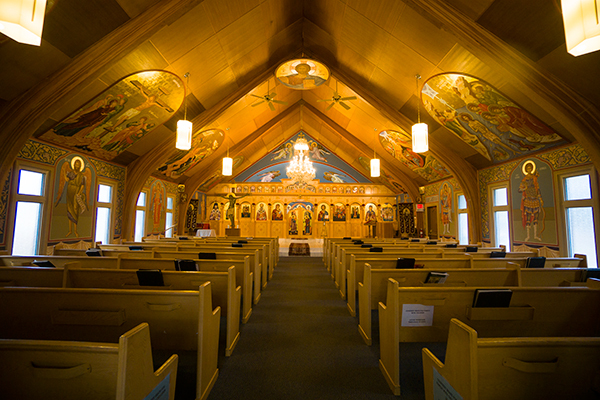 6:00pm – Spiritual Counseling, Holy Confession by appointment / Consiliere Spirituala, Sfanta Spovedanie cu programare. 6:00pm – Memorial Service/Pomenirea mortilor. This is the last day for Memorial Service. 6.30pm – Bridegroom Matins / Denie. 6.30pm – Holy Unction, Bridegroom Matins / Denie si Sfantul Maslu. 6.30pm – Twelve Gospels / Denia celor 12 Evanghelii. 6.30pm – Lamentation / Denia Prohodului Domnului. 1:00pm — The service of the Second Resurrection CHRIST IS RISEN! HRISTOS A INVIAT! Please attend these special Vespers as this is a great opportunity to connect with other Orthodox churches and communities. Please also come and volunteer by bringing food: fruits,vegetables,fish dishes,lenten dishes, dessert etc. We would kindly ask for your help with cleaning up after the event.Thank you !